Real-time Beamforming: enhanced coverage and capacity for broadband mmWave applications. Home / Expertise Offering / Real-time Beamforming: enhanced coverage and capacity for broadband mmWave applications. 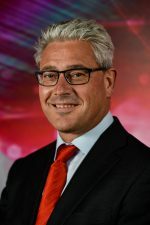 LioniX International, based in Enschede, The Netherlands, is a leading global provider of customized microsystem solutions, in particular integrated photonics-based, in scalable production volumes. We provide customized solutions for OEM’s and System Integrators, from design to device, by vertical integration in scalable production volumes and maintaining technology leadership secured by strong IP position. LioniX International manufactured the world first integrated optical beamforming network (iOBFN) for Ka-band satellite communications and is manufacturing mmWave iOBFN modules in the 5G-phase-2 projects blueSPACE and 5GPhos. We will demonstrate/showcase our subsystems in these projects in the 2019-2020 time frame. The iOBFNs will feature re-configurability, modularity, scalability and improved energy- and spectrum- efficiencies, and can be treated as reference designs for 5G for 28 GHz and 60 GHz applications, respectively. The consortia will show the embedded HW/SW solutions for performance of the emerging 5G mmWave technologies and certain use cases. We look for partners to make the next steps, defining an application specific product, where the iOBFN and the array-antenna are integrated and embedded in the communication network, promoted and marketed, preferably through a OEM, system vendor or system integrator. in particular integrated photonics-based, in scalable production volumes. and maintaining technology leadership secured by strong IP position.